Road trips are the quintessential summer vacation for American families. You may have a fun trip planned to Disneyland, the Grand Canyon or Mount Rushmore, and you plan to drive there to see sights along the way. How long it does it take for the kids in the backseat to start bickering? Help keep the peace and make sure everyone arrives at your destination with their sanity intact by suggesting these road trip games for the whole family. This memory game is an engaging way to pass the time on the road. Each person takes a turn naming a grocery item in alphabetical order, starting with the letter A. For example, the first person might say “apples.” The second person must then repeat “apples” and then might add “bananas.” If anyone forgets a grocery item, they’re eliminated. You don’t have to stick with groceries; try any category you like, from animals to colors to people’s names. This classic game is great for road trips. One person looks around the car and chooses an object. Then they say, “I spy with my little eye something that is…” followed by the color of the object. Everyone else takes turns guessing possible objects until someone gets it right. That person gets to choose the next object. Be sure players choose objects inside the car, not something outside that will whiz by too fast. For this game, everyone takes turns telling one sentence of a story at a time. The first player might start, “Once upon a time, there was a princess.” And the next person might say, “She had long golden hair.” As the story progresses, it can get pretty silly! The story could take only a few minutes to tell, or an hour, depending on how long everyone wants to play. This game can last your entire road trip, a kind of side game that everyone has at the back of their minds. Have one child make a list of all 50 states. As you spot license plates of cars from those states, check them off the list. These cars can be spotted on the road or in parking lots, so keep a lookout! To play this game, each player must simply look for yellow vehicles. You might make yellow buses and trucks worth 5 points and cars worth 2 points. Whoever gets the most points in 30 minutes wins. One player thinks of an object and everyone else takes turns asking yes or no questions in an attempt to identify what that object is in 20 questions or less. Whoever asks the final question and reveals the answer is the winner and gets to choose the object for the next round. Similar to 20 questions, this game is about identifying a person everyone in your family knows. It might be someone you know personally, or a movie star or fictional character. Once the player has someone in mind, everyone can start asking questions. What is the person’s gender, hair color, race or other distinguishing feature? The goal is to figure out the mystery person in 20 questions or less. In this game, the entire family is on a team. The goal is to spot letters on signs, storefronts and license plates in alphabetical order. As someone spots each successive letter, everyone moves together to start searching for the next letter. The game ends when you get through the entire alphabet. Each person takes turns humming or whistling a song of their choice. Whoever guesses the song first gets to be the singer for the next round. If you prefer, trying guessing song names and artists that come on the radio. It may just be busy work, but counting cows, telephone poles, train cars, semi trucks or whatever else you choose is a great road trip game. Have each child count objects on their own and compare, or maintain a car-wide tally. Before you head off on your much-anticipated road trip, make sure you bring your car in to Scott’s Fort Collins Auto & Repair. 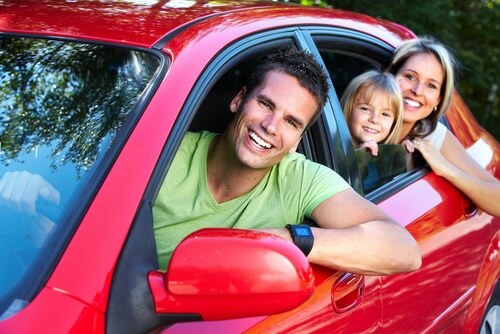 We can tune up your car and make sure your vehicle is trustworthy enough for the trip you have in mind. Just stop on by, or if you would prefer, schedule an appointment online or call ahead at (970) 682-4202.